Etherow Country Park Sailing Club is approved as a Sailability Foundation Centre which means we are working to open up the sport of sailing to people with diabilities from Stockport and neighbouring areas. 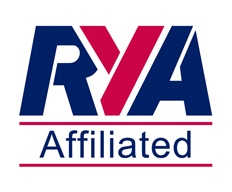 We are affiliated to the Royal Yachting Association, the recognised national body for sailing. 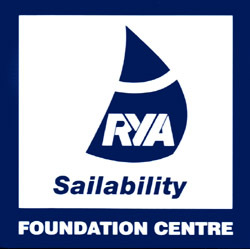 Sailability is the RYA programme which each year introduces 40,000 adults and children with disabilities to the sport. Sailing is one of the few sports in which able-bodied and disabled people can compete on equal terms. More information about the programme can be found on the RYA website. This club has been checked for suitability for offering the programme as signified by the awarding of this status. As sailors we know the joys (and sometimes the frustrations) of enjoying the natural forces of wind and water. Some people are unable to see the trees in our country park setting, or perhaps never hear the swish and gurgle of the water. They might not be able to move from one side of the boat to the other in a hurry. But there is still a lot they can get from the sport. We want to work with local organisations to develop our contribution to Sailability and open up more opportunities for those with challenges to build on their abilities. If you are involved in such an organisation, please get in touch by emailing sailabilty at ecpsc.org.uk.